Teach your little one a little piece of history, while guiding him through a fun Halloween craft by creating this mask out of a paper plate! The Day of the Dead, or El Día de los Muertos, is a traditional Mexican holiday, but some form of the event is celebrated in many other parts of the world. It involves the celebration of customs to remember and honor those who have passed away. One of the most well-known customs is the wearing of costumes and traditional skeleton masks, or Calaca. Making a Day of the Dead mask is a fun way to teach your child about this important event. 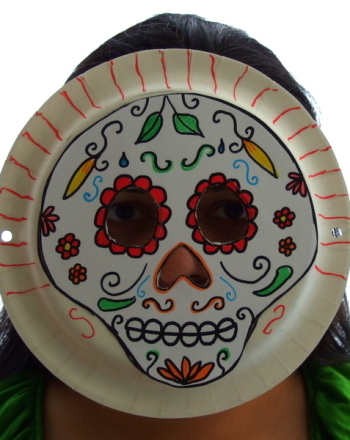 Use the back of a paper plate as the front of the mask, as the dip of the plate fits more comfortably around the face. Have your child trace a skull shape onto the back of the paper plate (if you want to make it easy, you can also glue the printable mask that's linked above to the back of the plate). Using a hobby knife, cut out the eyes and nose areas which are shaded in black. Get your child to decorate the mask with flowers, leaves, and patterns using paint, crayons or pencils. Punch two holes at the sides of the plate and string a length of ribbon through each side and knot. These will be used to keep the mask on. Masks can either be worn or hung up as decorations. If you want your child's mask to be used as a decoration, you don't need to cut out the eyes or nose out or punch holes for the ribbons. Instead, just punch a hole in the top, and string a ribbon through from which to hang it. Put together your own Catrina with this printable Day of the Dead doll template. Learn some Day of the Dead vocabulary with this quick word-matching worksheet. Get in the spirit of Day of the Dead, a colorful Mexican holiday. colour and cut out a "papel picado" (pock-marked paper) for decoration or just for fun. 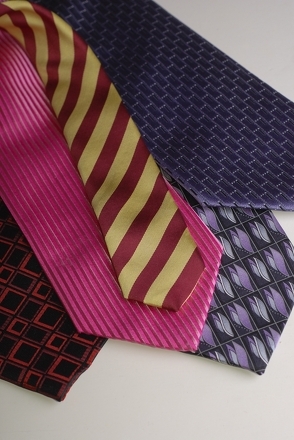 Make this easy homemade tie for a great Father's Day gift this year. 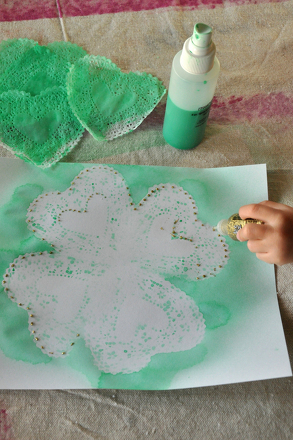 Here's a Mother's Day craft that will make your mom the happiest parent on the block! Assemble this bouquet of faux flowers by hand and show mom some love. Patrick's Day card your child can make, write, and give. Great learning and lots of fun--a "lucky" combination for a lucky holiday! 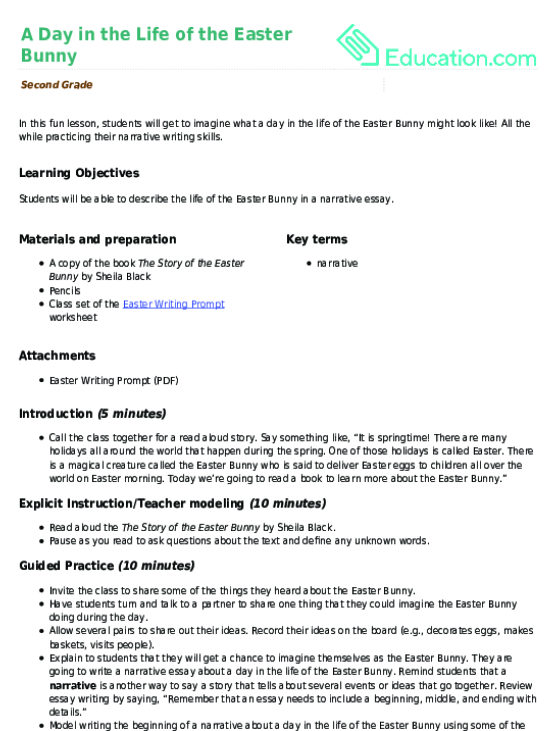 In this fun lesson, students will get to imagine what a day in the life of the Easter Bunny might look like! All the while practising their narrative writing skills.